Home » Professionals » Harriette M. Steinberg, Esq. 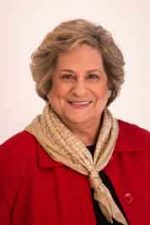 Harriette M. Steinberg has been a matrimonial and family law attorney on Long Island for over 30 years and practices in the areas of Trust, Estates and Elder Law as well. Collaborative Divorce is founded upon a creed of civility that engenders positive solutions for parties and their families. From Harriette’s perspective, the Collaborative Divorce process creates valuable opportunities to achieve mutual objectives without the usual destructive consequences which develop in the traditional divorce model. Ms. Steinberg has been one of the first practitioners of Collaborative Divorce on Long Island. She, together with several other members of the CDR Group, have been introducing Collaborative Divorce to other Long Island practitioners and community groups since 2005. One might say that Harriette is an original Collaborative Divorce Ambassador! Harriette’s credentials are more fully described on her website www.lawyersonli.com. Design Your Divorce: Where Do You Stand?